Interested in playing GO? Here is how you get started! The ancient Chinese board-game GO is a fascinating and game involving a general strategy for two players. The goal of the game is to secure more territory than the one you are playing with using the playing pieces called ‘stones’. It is one of the oldest board games being almost 2,500 years old. It has relatively simple rules, but it is more complex and tactical than chess, because of the more prominent board and more pieces. There are two players who get either white or black pieces. If you are new to GO, this article will be of great help to you as it will guide you on its rules, basics and how to play! Be sure to read thoroughly and have fun! 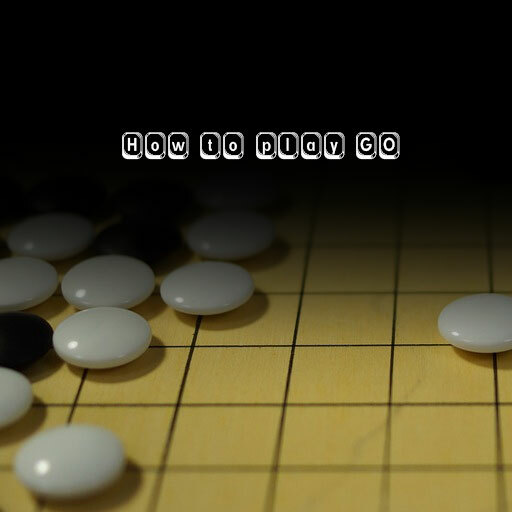 GO is a game for two players. To play GO, you’ll need to have black & white pieces or stones and a board with lines/squares. The board will be filled up during the game. It is empty at the start. You will need to take turns with your partner to place the stones. One stone will be placed per turn. Once you place a stone on the board, you can’t change your move or take it back. The player in possession of the black stones gets to move first. Stones will always be placed on the intersections of the lines, not the squares. You can put your stones anywhere across these intersections. The two parties take turns to place the stones on the intersecting lines, one by one on the grid of the GO board. The grid is based upon 19×19 lines, and one cannot take back a stone once it is placed. The vertical and horizontal placing of stones adjacently forms a colour chain, and this chain cannot be divided, hence creating a larger stone. These chains can be enlarged by placing more stones. Any vacant point occurring sideways to a stone is called liberty. Stones that are present in chains will share their rights. To remain on the board, one liberty must be possessed by the chain. If not so, it is to be captured and put away from the board. Any stone that is surrounded by the opposing party is said to be captured and removed from the board. In Area scoring, a player’s score is measured by the number of stones on the board of the colour they’re playing with along with the number of empty intersections across the player’s pieces. In Territory scoring, both parties retain the opposing parties captured stones called ‘prisoners’ Furthermore, any dead stones present towards the end of a match are also captured. Thus the final score is calculated by the number of prisoners in one’s possession plus the number of empty intersections across the player’s stones. If you are interested in more how-to guides, please visit our front page for the latest articles https://www.best-boardgames.uk.